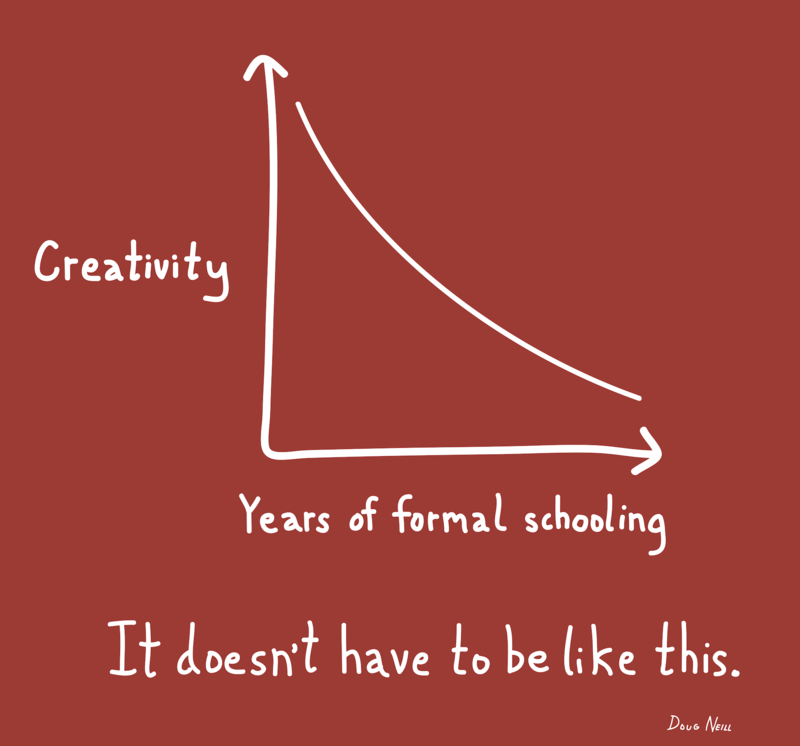 Has your education encouraged you to develop and maintain your own creativity? To what degree? The shape of the graph above is definitely the extreme case, and will vary from person to person and from school to school. And though it’s probably impossible to even keep that line flat due to the way we are hardwired, I think in general we can do a better job of not letting it dip so much.